So much of what you saw in school and from the PC left will make more sense after to watch this documentary. It is a must see. Bill Whittle on the propaganda of the PC narrative. His video includes some information on “The Frankfurt School of Marxism” who invented the concepts of “Critical Theory”, “Political Correctness”, radical feminism, etc. 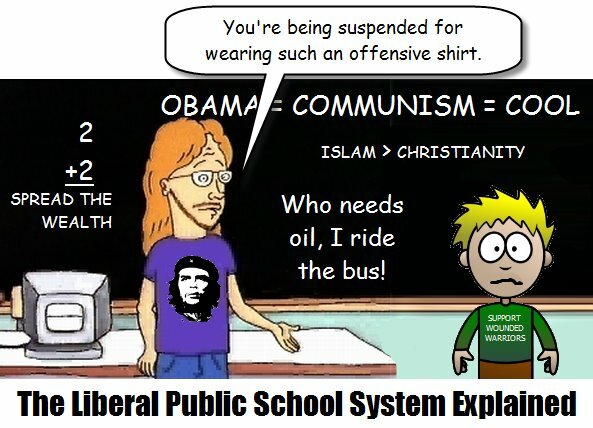 UPDATE – Video: Teachers lying to students, far left indoctrination….. LINK. This entry was posted in Academic Misconduct, Culture War, Propaganda, School Indoctrination, Treason, True Talking Points and tagged frankfurt school, occupy-wall-street, political correctness, politics, radical feminism. Bookmark the permalink.